A tv series of the popular youtube series ”Annoying Orange”. Where Orange goes on an adventure with his friends. His weird friend Nerville basically played by a youtuber has a fear of aliens. So Orange and his friends is the one that can stop the adventure. The High Fructose Adventures of Annoying Orange Episode 13 – Escape from the Planet of the Grapes of Wrath! The High Fructose Adventures of Annoying Orange Episode 9 – Fruit Plane! 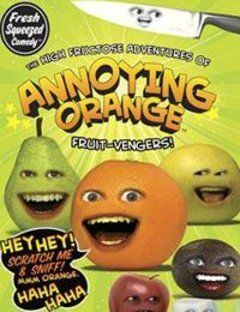 The High Fructose Adventures of Annoying Orange Episode 6 – Fruit-Vengers!